I agree, but Liverpool has also been shite lately… I seriously doubt City would have beaten the same Liverpool some 2-3 years ago. That’s the only lame excuse I find everywhere. I’m not a Chelsea fan but come on, football has become a big business since the early 90s. Mind you, Chelsea qualified for the Champions League twice before getting showered by Abramovich’s petro-dollars! And since the summer of 2006, I have yet to see a multi-million player bought by Chelsea! Liverpool on the other hand has spent over £220m during Rafa Benitez’s time at the club and has won practically nothing when it comes to major trophies. Liverpool plays with its heart and not with money. Liverpool defense should be reinforced as it was in 2005 for the Champions League final. Money has killed football all over the world. Liverpool and Arsenal are the two of the Big Four who have less money than MANU, Chelsea and City but they are competitive in all competitions. It is too early to say who will win the Premier League. We must pray that the Dieux des stades are with Liverpool. Fans of small teams should be applauded for supporting teams which have zero chance of winning something… In fact, Liverpool fans should be thankful for having a team which is sometimes competitive, sometimes crap but which still have some dignity. Our President once said: “Moralité pas rempli ventre” but I would not be very happy if Liverpool becomes another Chelsea. We cannot control what others are doing, but only what we are doing. 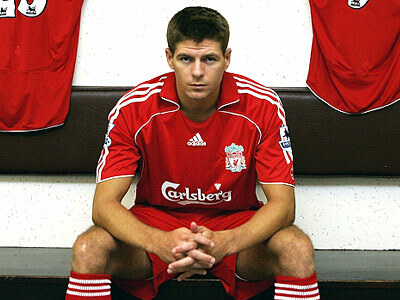 Liverpool’s nightmare began when the club was sold to the two Americans, who knew nothing about football. You can say that money is killing football in England, but it has been the case everywhere. It is a very powerful motivation and whether we like it or not, it’s here to stay. In the past, Bernard Tapie transformed Marseille into a powerful club just like Berlusconi transformed AC Milan into a powerful club. What did they have in common? Money. At that time, Liverpool, Everton and Arsenal were the best.